The terrifying possibility of a Red Sox-Yankees ALCS is very real for this Orioles fan. Boston is a playoff lock, and the Yankees are well on their way to a berth in the Wild Card game. When you consider that the rest of the AL “contenders” are a bunch of Bronx-fed sacrificial lambs, that amounts to exactly 50% of the American League playoff equation. Thankfully, the other half of the field looks to be in pretty good shape right now. The Indians look really, really good. They have won 15 straight, the longest streak since the Oakland A’s 2002 Moneyball run of 20 straight. Consider that Cleveland is doing this without a few of its best players, as Andrew Miller, Michael Brantley, and Jason Kipnis have all been shelved through this run. The streak has included several big victims, including the Red Sox (albeit for only the very first game) and the Yankees in the Bronx. Cleveland’s closing schedule is softer than a broken-in pillow, which is comforting when you consider the Tribe already has a five-game lead on the Sox for homefield in the ALDS (we saw last year just how important that is). The Astros are hot, too, winners of seven straight and owners of Justin Verlander during a terrible time for their city of Houston. Barring a major collapse, the Astros and Indians should hang on to homefield for their ALDS matchups with the Yankees and Red Sox, respectively. Speaking of recurring bad dreams, the NL Wild Card race has suddenly become just that… a race. Were we playing under the pre-2012 rules, the Yankees would already have the champagne on ice, and the Diamondbacks would be drinking champagne during games. But both teams will sleep with one eye open and wonder who they will have to dispose of to advance to the ALDS. Especially the Diamondbacks, who can’t just focus on the Rockies anymore because the Cards are surging. Let me throw this out there – for all of St. Louis’ injuries and the salary-dump trade of Mike Leake to Seattle, the franchise just has some kind of magic pixie dust that allows it to compete no matter the names on the backs of the jerseys. 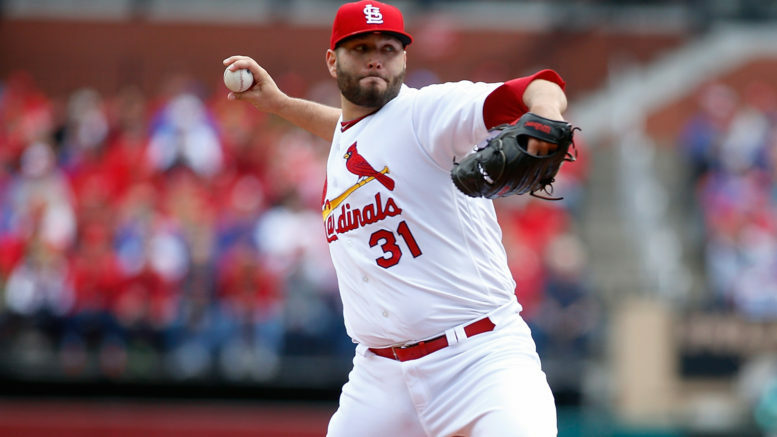 The Cardinals also own the game’s most underrated starting pitcher in Lance Lynn, making it even crazier that his name was actually floated in trade rumors this summer even though he is a pending free agent. Lynn is 10-7 but with a 2.94 ERA, even though the folks at Viva El Birdos have pointed out how lucky Lynn has been in 2017 (FYI, a good read worth checking out). The TJ survivor leads the NL in starts (29), is fifth in ERA, seventh in WHIP (1.16), fourth in opponents batting average (.213), and fourth in H/9 IP (6.9). You could also argue that, given his last two starts, he’s been incredibly unlucky. After all, how often can a pitcher allow one run over 14 innings in two starts and be 0-1 with a no-decision to show for it? Nevertheless, the Rockies are suddenly looking over their shoulders at two NL Central teams (yes, the Brewers are in the mix, too) seemingly left for dead just a few weeks ago. This will be the most exciting race of any of the awards handed out this November. There are some great candidates, and because this is an award you can’t really quantify with stats outside of wins and losses, the debate rages on. In the AL, A.J. Hinch seems like the frontrunner, leading the Astros to their first-ever AL West title. But what about Joe Girardi? (That feels like an echo, because I say it every year.) Can we give Terry Francona some love again for navigating through injuries to guide the Tribe to another division title? And how about the incredibly-overachieving years by Paul Molitor’s Twins and Mike Scioscia’s Angels? I would have to go with Hinch, but also would have no problem with it going to Scioscia or Molitor if their teams squeak into the field. In the National League, it’s pretty much a runaway with Torey Lovullo turning around the 95-loss Diamondbacks, who are starting to look scary good of late. But what about the job that Craig Counsell has done for the Brew Crew? A complete afterthought, Milwaukee is just three games out of the NL wild card race in September. Even Bud Black deserves a few votes for the job he’s done in Denver, although he certainly won’t win it. Should people really be that shocked that the Dodgers are scuffling so badly? Did you ever really believe that this team should be 91-36 at any point? L.A. has dropped 12 of 13, and it isn’t really surprising at all. Yes, the Dodgers are a very good team, with the game’s best starting pitcher and the NL’s best closer. But how sold are you really on a team giving Brandon Morrow high-leverage innings late in games, and relying on Curtis Granderson to be one of the tablesetters of the lineup? Give Dave Roberts credit for getting the most out of a lot of names you probably forgot about, but the truth is, there is nothing historically good about this Dodgers team. That doesn’t mean they can’t finally break through and reach their first Fall Classic in 29 years, but it’s not going to be the cakewalk Vegas would have you believe. For one thing, six straight losses to the white-hot D-Backs are cause for concern, considering those two teams would matchup in the NLDS (assuming Arizona advances past the wild card game). The Nationals have just as much playoff baggage, but don’t count out of the defending champs, either. The Cubs rallied from a 2-1 series deficit in the NLCS last year, and are gaining steam at the right time. Maybe the Dodgers are just getting this out of their system now, and things are leveling out a bit. But it isn’t a surprise. Be the first to comment on "MLB Playoff Push: Can Indian Summer carry over to fall?"